We are a United States based business. 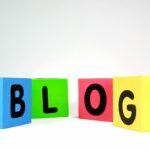 Your information is held securely and backed up in accordance with UK Data Protection Laws, including GDPR. All original work will be returned to clients as soon as work is completed unless otherwise requested. On written termination of the contract, we delete all client data held, excluding data held for our own tax records. Payments are due upon receipt of invoice. Alyssa Avant and Company reserves the right to halt services and not to return work if bills are not paid. Pre-paid hours are non-refundable and are valid for 30 days from the date of payment. All work requests should be submitted to our central email alyssa@alyssaavantandcompany.com. This ensures we can schedule and track all work. Work may also be submitted by scheduling a strategy phone consultation to verbally dictate tasks and deadlines. The phone call’s time will be deducted from package hours. We will acknowledge all work within 24-48 hours Monday – Friday, 9 am – 4 pm Central Standard time. 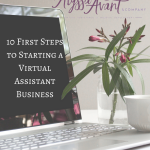 Because Alyssa Avant and Company is an independent contractor, solo virtual assistant, and not an employee, the Client must understand that the Alyssa Avant and Company has multiple clients. Therefore, all work should be scheduled in advance accordingly with 1 weeks notice in advance of project start (not project finish). 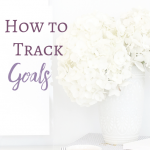 Further, Alyssa Avant and Company will attempt to ensure that all tasks are completed as quickly as possible without sacrificing quality or accuracy of work. Alyssa Avant and Company understand that things pop up and you need help immediately. For rush jobs, you will be charged a 25% surcharge for less than 1 week’s notice and 50% surcharge for evenings, weekends or U.S. holidays. Alyssa Avant and Company will take off all United States public national holidays in addition to the following religious holidays: Easter, Good Friday. Alyssa Avant & Company adheres to a strict confidentiality code and no information will be divulged to a third party. All documentation sent to me will be returned upon completion + payment. Alyssa Avant and Company takes your confidentiality very seriously – all passwords are encrypted and we use security. If Alyssa Avant and Company needs to use your credit card, the info will be shredded after use, unless you give me permission to keep this information on file for future use, then it is done so securely.